It’s not what you’re thinking! We modified the original Smart Grip by improving the shape and moving the finger loops to the opposite side creating an Automatic Fold. The result is a superior grip with amazing hand protection! Tested by some of the best Games Athletes on the planet. 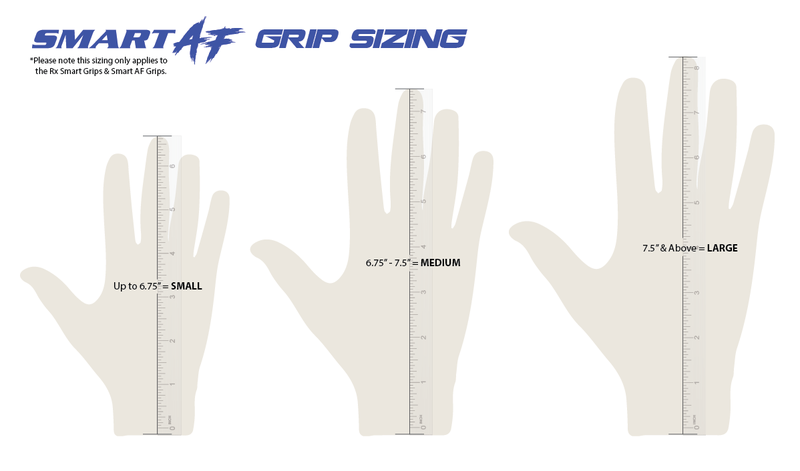 If you’re right on the cusp of one of the sizes, we recommend choosing the larger size. *Due to the nature of natural fibers used, colors and texture may vary. See detailed description and sizing chart below for more information.